Feed companies, equine nutritionists, vets and feed testing companies generally assume that all horses have the same mineral requirements. Just observe the many mineral/vitamin mixes on the market at present. The problem with this assumption is that soil type and water source are not taken into consideration when recommending supplements. For example, many areas of Australia contain soils high in iron so iron in a supplement is rarely required and toxicities are common. Bore, river and spring water often contain high concentrations of minerals and if you guess when adding a supplement to the feed, you are often inadvertently overdosing your horse on minerals by not taking into account the mineral levels in the water supply. Yearlings, geldings, stallions and mares have different mineral requirements as do horses in light work compared to those in heavy work. Once I have been advised of all the supplements and feeds your horse currently receives, taken into consideration the water and soil type then compared that to the analysed hair tissue sample, I will determine which minerals your horse actually requires. Appropriate raw minerals will be recommended that are readily available from good produce /feed stores at much cheaper prices than commercial brands or from equine nutritionists. Selenium deficiency is widespread in Australia and New Zealand. 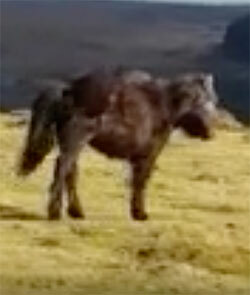 Consequently, most horses are lacking this essential trace element. In fact 98% of the thousands of horses I have tested over 10 years are deficient or have non existent levels. Many selenium supplements currently on the market contain inorganic or synthetic selenium that is not well absorbed in the horse. They are expensive and just simply to not raise selenium tissue levels. I have conducted an extensive clinical trial on this product. It is indeed the most bioavaliable of it's kind on the Austrlaian market. 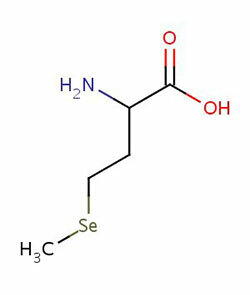 Selenium is essential in the horse. It forms an integral part of the enzyme glutationine peroxidase in horses red blood cells by protecting lipid peroxides and cell membranes against peroxidase damage. It is required for immune and cardiovascular systems, adequate thyroid function, healthy coat, skin and hooves, essential for reproduction and pregnancy, adequate muscle development and oxygen transport, protects against heavy metal toxicity, essential for optimal performance. Feeding your horse has become complicated, confusing and expensive. Just look at the ads in horse magazine's or walk the aisles of your feedstore and you will know what I am talking about. 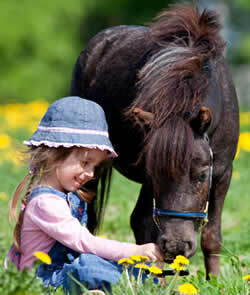 Never before have horse owners been bombarded with such a variety of feeds and supplements to choose from. I have attempted to provide readers with some level of understanding of the complexities of current day feeds and supplements. With many years of experience and testing thousands of horses for nutritional deficiencies I can state categorically that the more we move from unprocessed horse feeds to processed feeds, the more health issues arise in the horse. You are what you eat applies to your horse as well. The processing method includes the dusts and the debris left over and to extend the shelf life of the product. Processed feeds are made for our convenience, not our horses'. Quick and easy – fast food for horses! 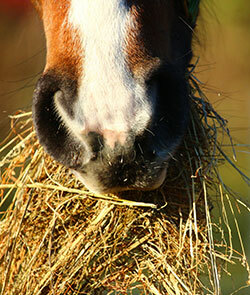 Read more: What is your horse eating ?